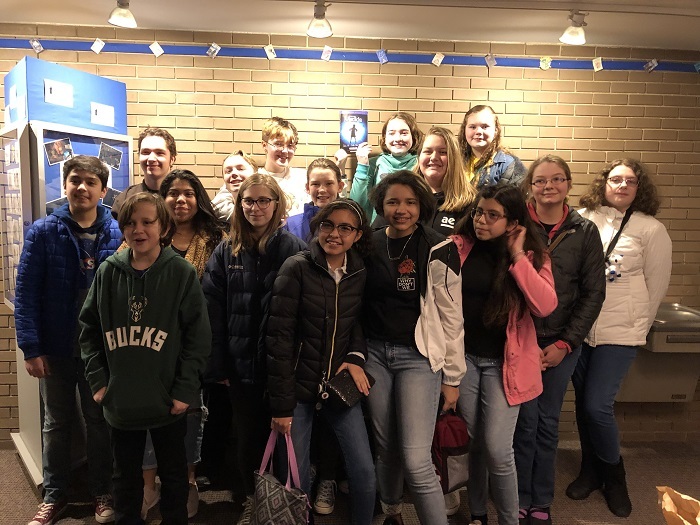 On February 5th, Ms. Elliot’s PLT Drama group was thrilled to be able to travel to Milwaukee to see the First Stage musical production of “Matilda”. Students really enjoyed seeing the book brought to the stage through music and dance. Following the performance, there was a short talk-back with the actors. Students enjoyed learning about the costuming and how some of the special stage effects were achieved.